Feed Carts – BHF MFG Inc. Message received – we will reach out to you very soon. Oops, something went wrong. Make sure to include your email! BHF Mfg.  designed feed carts are a highly versatile and heavy-duty cart. Although these carts were originally designed to be used for animal feed, our customers have surprised us by using the carts for a wide range of other applications too. The thick plastic walls and welded base allow our feed carts to remain durable and functional through years of usage. The design is proven to last and quality materials including flat-free tires used to build them mean this feed cart is a great investment. Let us know how we can help or if you have any questions. Oops! Something went wrong. Make sure you include a valid email address. We are a Kitchener-Waterloo area custom manufacturer and fabricator specializing in industrial and agricultural products.